How can the methods of reporting and writing practiced by professional journalists possibly benefit those who write fiction? 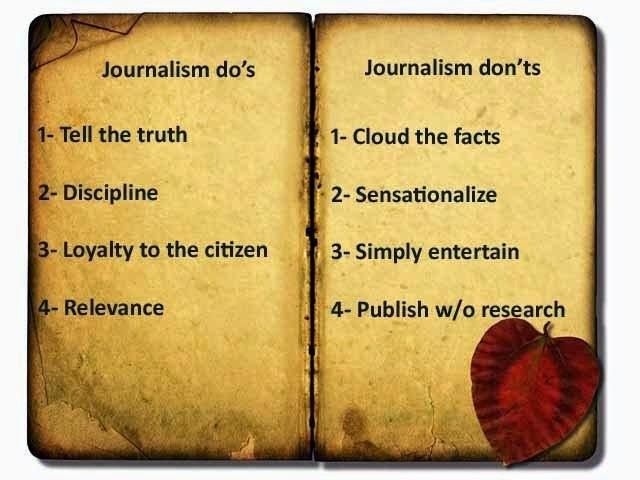 After all, the rules of journalism demand that you shape your writing to your material, not the other way around. The answer can be found in the fundamentals of the writer's craft: Observation and Research. 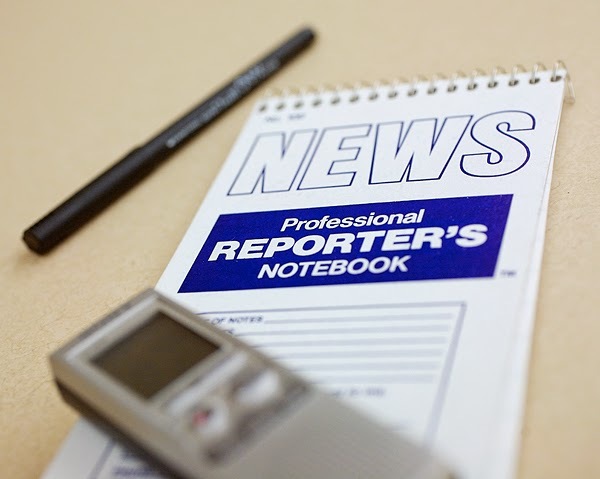 In journalism research is called reporting but learning how to "see" what is going on around you is the same for both the novelist and the journalist. For the journalist precise observation is one of the keys to accurate reporting. For the writer of fiction seeing the world accurately not only allows you to create vivid descriptions that readers can believe, it can spur the imagination. For the journalist, the most serious obstacles to accurate observation lie in the mental baggage we all carry—the preconception, the stereotype, the prejudice. It's the same for the novelist. The preconceived belief, the stereotype and the prejudgment distort our vision, leading us to see only what we expected to find, instead of what may really be in front of us. No human being can exorcise them, but all writers must learn to identify their mental baggage and check it at the door. Unlike the journalist, however, authors of fiction can allow their biases to be expressed through the characters they create. The journalist must boil down an anecdote to its essentials, even if some participants or some quotes must be left out. It is dishonest to distort a scene or change quotes to make the anecdote funnier or more pertinent. In fiction, that is not a problem. However, experienced writers will carefully observe and mentally record a scene so they can incorporate it their narrative. They may alter the scene or the quote or the anecdote to fit the story they are telling, but if they have been keen observers the scene they are altering will have a strong basis in reality and it will ring true with readers. 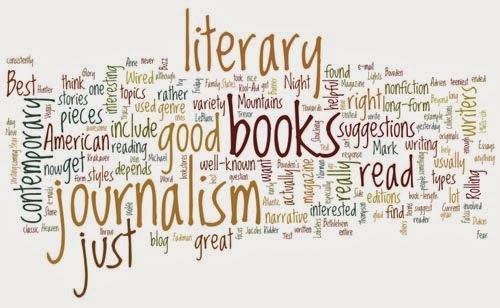 Most writers and journalists begin their research and reporting with at least some idea of what they will find—or what they think they should find. There is nothing inherently wrong with that. In scientific research, the same sort of presumption is called a hypothesis. It is accepted as the essential starting point for any research project. The scientific method demands that the scientist, in testing the hypothesis, look for evidence to disprove it. That high standard of detachment is not always met, even in science. But it is the standard that every writer should apply to his or her work. Its fine to begin with an idea of your likely conclusion, so long as you keep your eyes and your mind open to evidence that may suggest a different conclusion. Careful observation will turn up the evidence; an open mind will accept it. Scientists have another tool that more reporters and writers would do well to borrow. In science, it’s called reviewing the literature. What do I mean by that? No reputable researcher launches a study without carefully combing the journals of the discipline to learn everything possible about the research already done, the questions left unanswered, the methods others have found useful. An hour spent on The Internet, a computer data base, or down at the public library often will net you reams of invaluable information. In reviewing the literature, writers, like scientists, often can improve their ideas about what questions to ask and where to look for the answers. The best novelists write from experience--predominantly their own. They do this, not by relying only on their memories, but by recording events, incidents, encounters, people, etc. in notebooks. I have dozens of old reporter's notebooks that are filled with descriptions of people, places, and events I covered during a 27 year-career as a reporter and foreign correspondent for the Chicago Tribune. When it comes to recreating scenes or experiences, those notebooks are worth their weight in platinum. And the descriptions are not just visual. They also include the other four senses: sound and smell; and in some cases, taste and touch. Those notebooks are a critical form of observation. Without them my view of the past would be shadowy and indistinct, but most of all the descriptions I create in my novels would lack that critical precision and veracity readers need in order to "see" what you are writing.